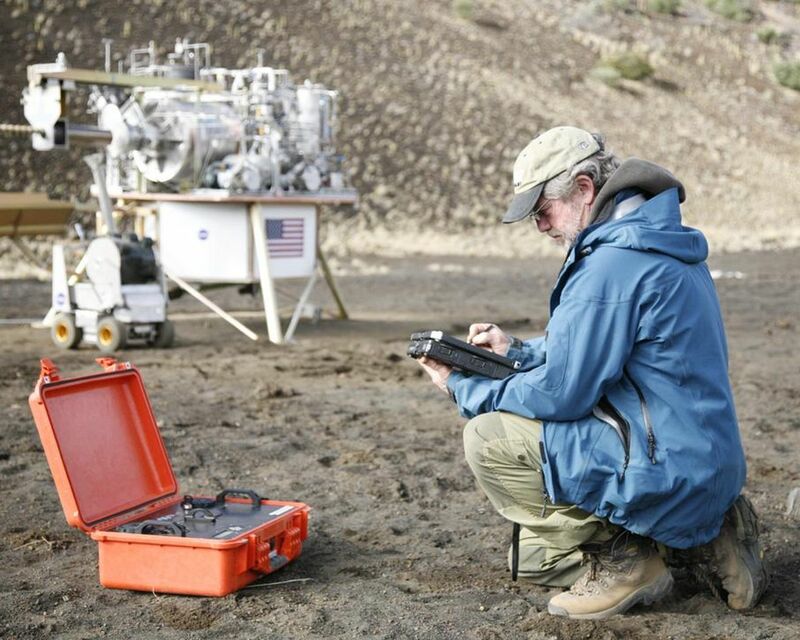 This image shows one of the spinoffs, in the orange case, in use during a November 2008 expedition to the Mauna Kea volcano in Hawaii. NASA's Curiosity rover will carry the Chemical and Mineralogy (CheMin) instrument during the Mars Science Laboratory mission to be launched in late 2011 and investigate an intriguing area on Mars for two years. CheMin uses X-ray diffraction, a first for a mission to Mars and a more definitive method for identifying minerals than any instrument on a previous Mars mission. 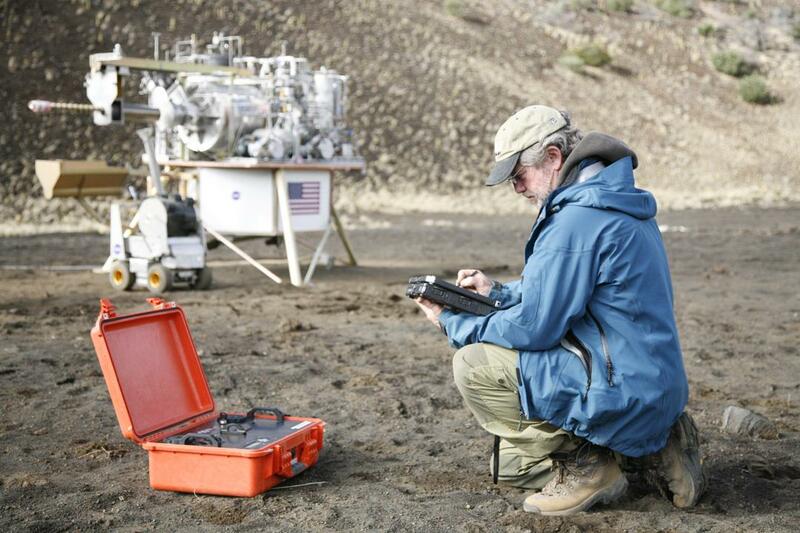 It supplements the diffraction measurements with X-ray fluorescence capability to gain further details about the composition of powdered rock and soil samples delivered by the rover's robotic arm. 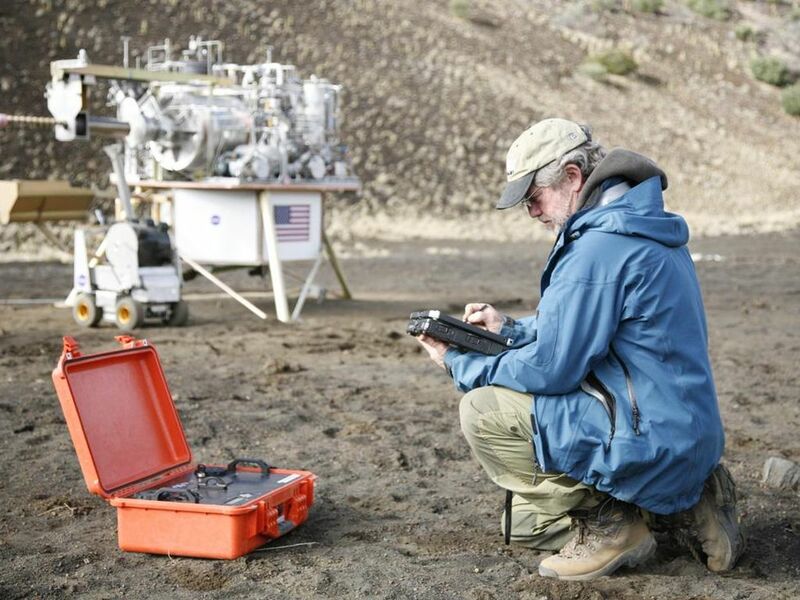 CheMin Principal Investigator David Blake, of the NASA Ames Research Center, Moffett Field, Calif., is seen here collecting data from a CheMin cousin called Terra. 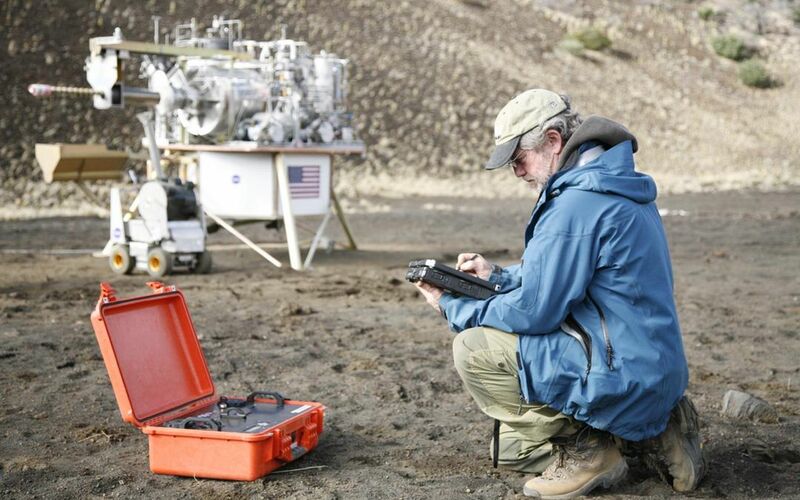 The scene is from a NASA field test of technology for producing water and oxygen from soil, using the Hawaiian site as an analog for the moon. In such an application, Terra could analyze the starting soils as well as products from the extraction process.